And in this blog post, I’m going to give you a simple, practical strategy to become the go-to influence on Baaz within your industry. If you’ve already read my overview of the Baaz platform, you know that one of the big benefits is the aggregated news with multiple perspectives of the same story. The Baaz team has worked very hard to make sure that the Trending section gives a rich experience for seeing popular topics from various sources and perspectives. This means that many people using Baaz are looking for what’s trending in their areas of interest. In other words, your target market is looking for various perspectives on the things that matter to them. And if your target market is looking for trending topics and news, you have an opportunity to get in front of them relatively easily. If you manage to do this well, it can quickly grow their trust in your brand. The first strategy you should be looking to implement is becoming the source of breaking news on Baaz related to your industry. Example 1: If you’re an automotive dealer, and there is a massive safety recall on a vehicle that is in your inventory, you better be the first one share a link to the press release. Example 2: If you’re a local business of any kind and a newsworthy event happens in your area, you should be sharing information about it. Example 3: If you’re an online electronics retailer, and you sell Apple products, you should share the first news of any new Apple keynote event that is announced. Essentially, you should be the one to break news related to your industry, products, services, or locale. This is relatively easy to do once you’ve set up a few key tools to help you be alerted to industry related news yourself. Being the go-to industry news source keeps you top-of-mind for your audience as a valuable informational resource. I’ll share more about how to do this later on in this post. The idea of being a “curator” may be new to some, so I’ll start by explaining it in terms that may be a bit more familiar. Let’s take a Museum Curator for example. The job of the Museum Curator is to be in charge of gathering, organizing, interpreting, and presenting content (exhibit items) for a museum. They decide on a theme for an exhibit and then begin gathering items (pieces of content) that will fill that exhibit in a way that tells a distinct narrative. 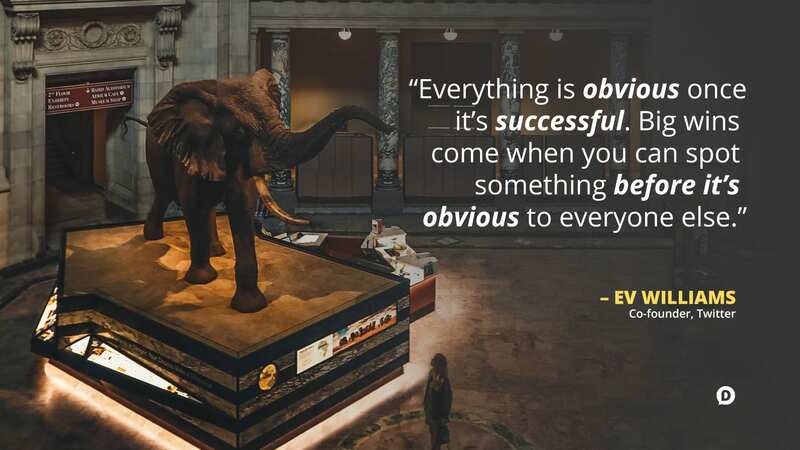 They also then ensure that any explanations, descriptions, and helpful insights are placed with each item, so that visitors can have as rich an experience as they can with the content, getting the full story. Traditionally, a curator or keeper of a cultural heritage institution (e.g., gallery, museum, library, or archive) is a content specialist charged with an institution’s collections and involved with the interpretation of heritage material. This is how you need to think of yourself when it comes to creating trending content for Baaz (or any social platform for that matter). You need to consistently gather, interpret, and share content related to your products, services, industry, or local area. 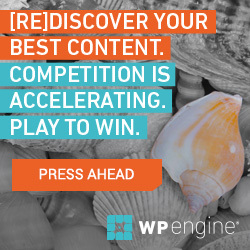 This is more than just finding and sharing content that relates to your audience. You need to interpret the content for your audience—give your perspective alongside the content. Now, it might be informative if I were to just share with you, ”Look, this thing called Baaz exists, go check it out.” But many of you would still be lost because you wouldn’t know what to do with it once you got there. Instead of just pointing you towards things, I give you a perspective on it. In other words, I give you an interpretation of it. This helps you better understand the context of what I’m pointing you to and solidifies in your head that I know my stuff. The key here is not to just be one of those people holding a sign that says ”new homes” on the street corner. Not that I have anything against those people, some of them are super talented. Instead, give people valuable insights and perspectives about the things you’re sharing. You see, I could have just shared the name of the video and a link to it. It’s a funny piece of content that my audience would have loved anyways. However, because I have a perspective on the subject matter, I added some additional insights, along with a link to a blog post that gives more related material for my audience to consume if they want. That is how you do content curation. And you know what’s really magical about the content curation method? You don’t have to be the one making all the content for your audience! 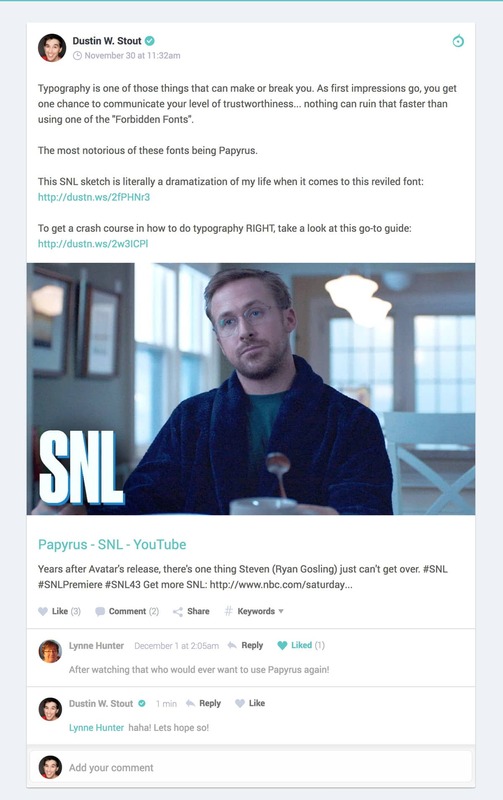 You don’t have to write 2,000-word blog posts about a subject. Just find a great one someone else wrote, add some perspective or insight to it and share the link to the article. Even though you didn’t write it, your audience begins to associate you with this type of content. Again, this continues to solidify you in their mind as a leading authority on the subject matter. Now, becoming a breaking news source and content curator can be exhausting if you don’t have the right tools helping you do the work. So I’m going to outline a handful of tools to help you gather content from across the internet with minimal effort. 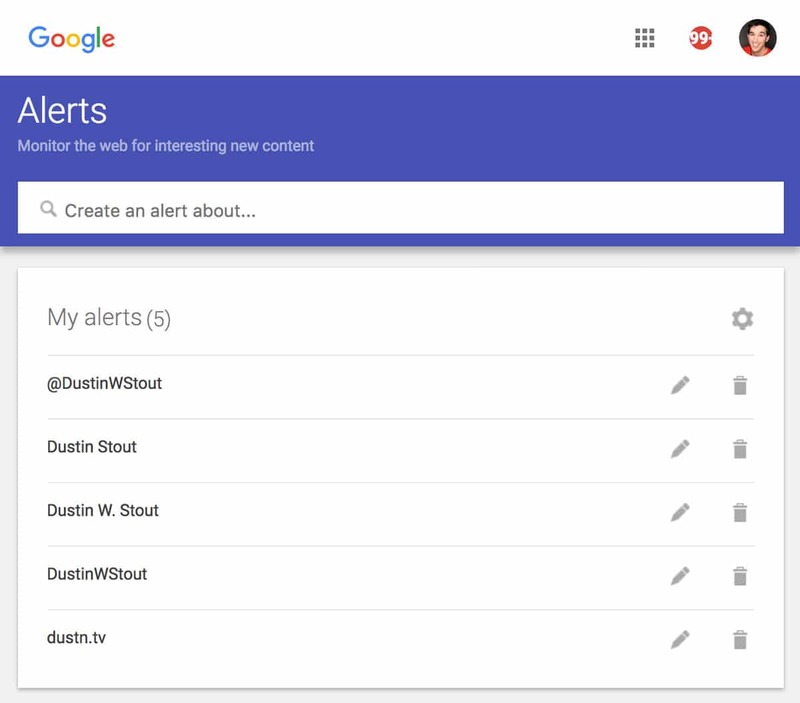 The first tool you should have in your content curation arsenal is Google Alerts. It’s a free keyword monitoring tool from Google that will send you emails every time a keyword or phrase is mentioned online. 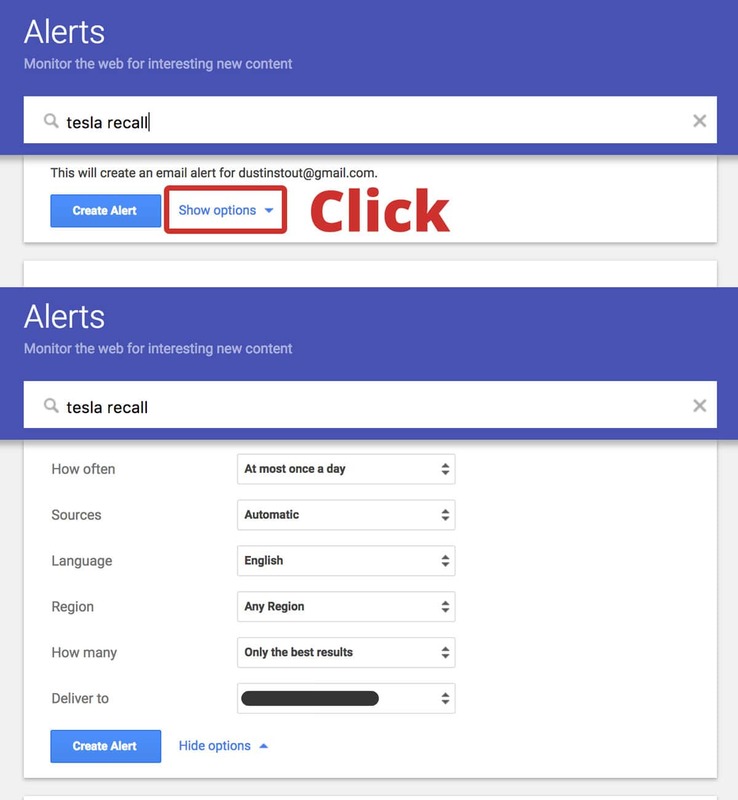 All you need to do is create an alert and Google can send you an email every time something is published about it online. Sources: the types of websites you want Google to monitor. Language: choose to monitor results in your language of choice. Region: limit your results to a geographic location. Deliver to: set the email address for where you want alerts sent. Set this up for some of the terms and phrases that matter to your business, industry, or your target market’s interests, and you’ll have loads of great content sent straight to your inbox regularly. Remember RSS readers? They seem to have been a (mostly) forgotten tool ever since Google decided to kill off its popular RSS reader. However, Feedly seems to have filled a much-needed gap in the market. 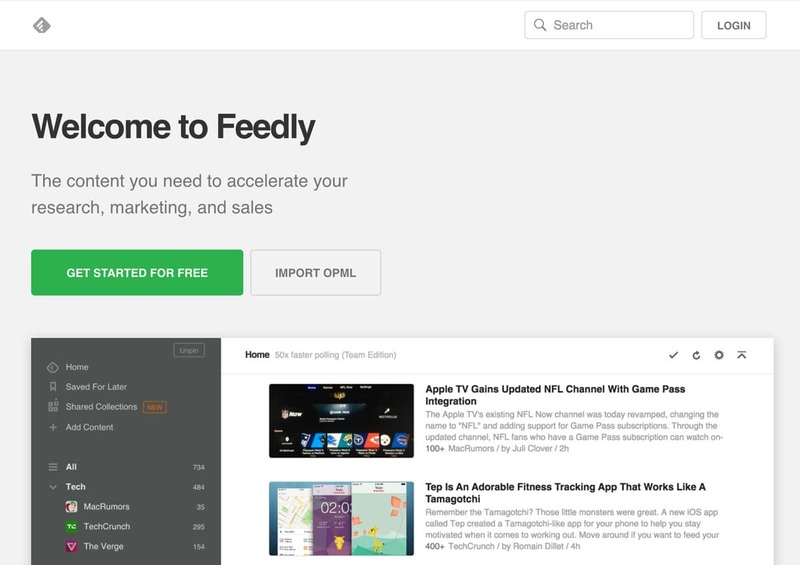 Once you’ve signed up for Feedly you can begin adding blogs, news outlets, and websites that publish content related to your topics. You can then view all the latest content in one, beautiful, customizable reader. These are the tools I use regularly, but you can also find more by reading HubSpot’s article about the 10 Content Curation Tools Every Marketer Needs. Once you understand how big an opportunity there is on Baaz for becoming a content curator, have your tools in place, and start creating influence-growing content, one thing remains. It’s a grind. And life happens. And you get busy. And sometimes you just don’t feel like it. 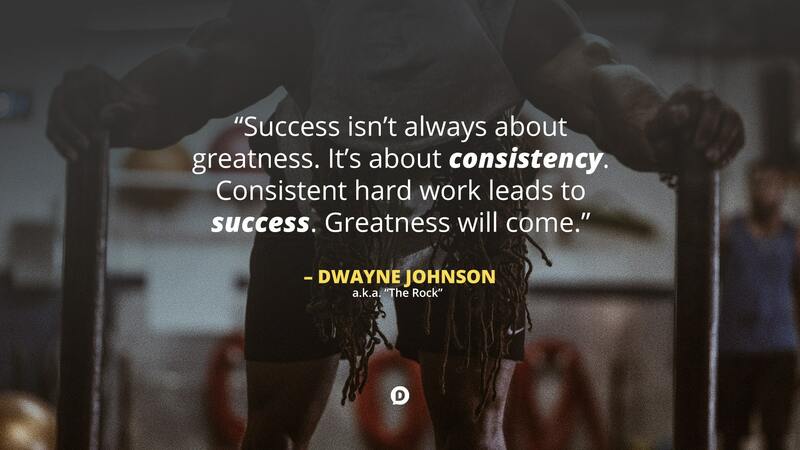 This is the single most important thing because consistency will ensure you don’t lose any momentum you’ve built up. If you lose momentum, it can be even harder to get it started again. I haven’t been the best at it myself on Baaz, but I’m going to change that with your help. Are you game? Let’s be consistent together! Deal? Baaz is new to the U.S. market, and ready to blast onto the scene as a social platform for people looking for breaking news, and quality content perspectives. Now is the time to set yourself up to be one of the first movers. So if you haven’t already, join me on Baaz and let’s be the content curators our audience is looking for. The post Grow Your Influence on Baaz with News and Content Curation appeared first on Dustn.tv by Dustin W. Stout. If you are reading this on a website that is NOT dustn.tv, it is STOLEN.